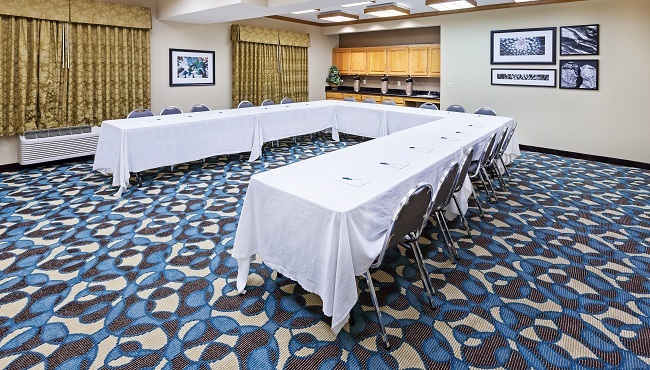 The well-equipped meeting room at the Country Inn & Suites, Lubbock, TX provides free high-speed Internet access and space for up to 45 people. The facilities include an LCD projector and projector screen for visually striking presentations as well as teleconferencing and videoconferencing equipment for long-distance meetings. Message boards encourage collaboration and group discussion. The meeting facilities also offer easy access to area destinations like Texas Tech University and the American Wind Power Center.